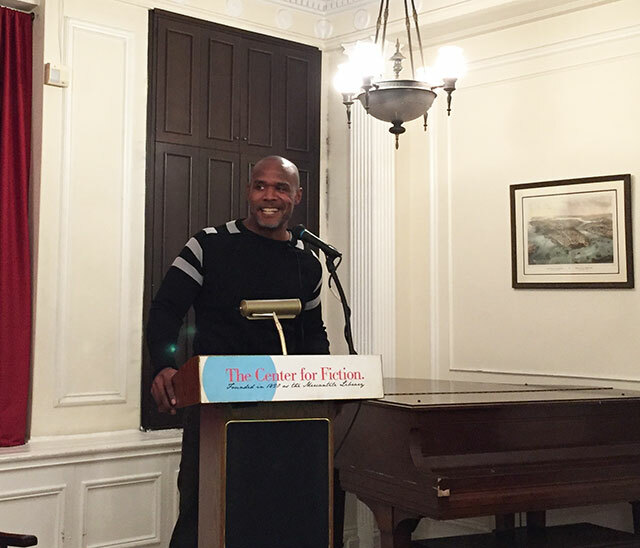 James Hannaham read from his latest novel, Delicious Foods, last week at Center for Fiction in Manhattan. He was joined, eventually, by Joshua Furst, delayed by shoddy subway service. Delicious Foods explores both modern slavery and drug addiction in Louisiana. Modern slavery is a real issue, and the novel has its origins in one such story. Hannaham explains that he read about Joyce Grant, a woman enslaved in 1992 in Florida back in 2006. Grant’s story served as the initial layer of inspiration for the novel. He also read slave narratives, including the two volume anthology, I Was Born A Slave. Modern slave trafficking often begins with people on the margins of society like drug users or prostitutes, people who often will not be missed should they disappear. Coming from urban areas, they are tempted by the promise of a job to rural places they are unfamiliar with, often hundreds of miles from home. Hannaham adds that many modern slavers often traffic in undocumented workers from south and central America. Their passports are confiscated and workers remain unpaid. There is a sense, Hannaham says, that the only kind of slavery is chattel slavery of the antebellum south. People today tend to think slavery has ended. Another component of the novel is addiction. Through the character of Scotty, Hannaham gives a voice to crack addiction. He has a highly stylized patois and fills in portions of the addiction experience. Scotty provided an avenue to deal with addiction with sincerity. “I didn’t want to write a public service announcement,” Hannaham says. He wanted to write something that stood as art on its own so that readers could get through it. Having Scotty serve as the voice of crack came about by accident. He enjoyed writing Scotty, but it was also a way for the reader to read through the experience. The idea of social issues and humor are not mutually exclusive, he explains. Comedians have been doing that for years. He cites Richard Pryor and Chris Rock as examples. The novel, much like Hannaham’s first, is tied to the south. His parents came from the south, and though he did not grow up there, he considers himself a second generation southerner. 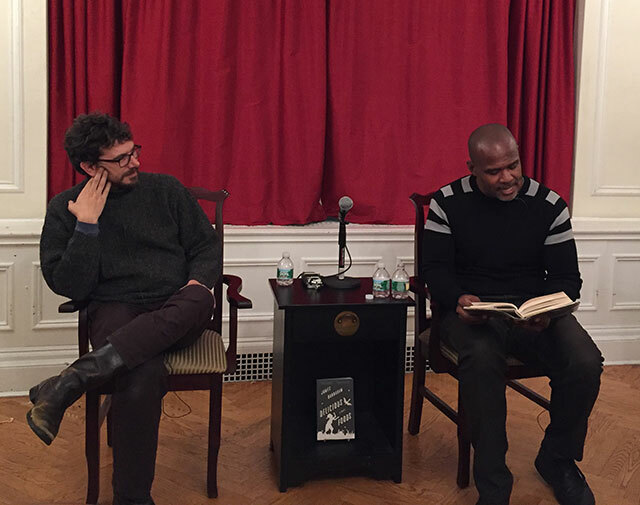 “Writing about the south as a black person is like writing about the holocaust,” Hannaham says. His parents brought trauma with them from the south. He too has spent time in the south. He enjoyed it, but mostly because he knew he was able leave. When Hannaham is writing a novel, he tends to write them in the order they are to be organized in. The words that appear first are written first, even when the narrative chronology is not organized that way. At first he writes an outline of what he thinks the story is going follow. Then in a totally separate document, he begins writing. Months later he reviews the outline, and usually he has strayed wildly from the initial concept. Hannaham first read Joyce Grant’s story in 2006. Then he was still working on his previous book, but by 2008 he began working on the first draft of Delicious Foods. By 2014, as the book was nearing completion, it was his editor who continued to tinker.